Instead, chose to watch local morning news and weather. The anchors have changes in the last six years. Flipped from channel 5 to 11 to 17. Seems like petty news to me – store burned, car flipped, dog saves cat’s life…. Not sure I’ll find my “fix” with local news. This evening, I found solace in Netflix. I’m one if the few who never started watching the US version if The Office (Ricky Gervais started it in the UK). So I got 3 episodes in tonight. Funny, yet painful – too close to what I’ve seen before, in many respects. Didn’t start missing ESPN yet, though — and I was expecting to. But there will come a time when I want cable sports and I’ll have to divert interest. Saved about $5 today alone. Cha-Ching. Is Amazon Fire TV Worth It? Apple, Roku and Google are already competing for your streaming business. And now Amazon enters the fray with its $99 Fire TV. But is it worth it? It’s a “Version 1” product, with scant few apps (or channels) out of the gate. How does it compare with The Big Three, namely Apple TV, Chromecast and Roku? Is Amazon Fire TV better than Apple TV? The Quad-core Qualcomm processor in the Fire TV gives it pure speed — fast menus, fast downloads and fast playback. Meanwhile, the Apple TV is getting long in the tooth with it’s mono-core A5 chip. The Amazon Prime and Cloud Drive services are well-integrated, as you would rightly expect, while the Apple TV works well with your iTunes, Macs, iPads and iPhones. Licensing and/or business strategy probably explains why HBOGo, Disney, MLB and PBS are missing on the Fire TV, and why Amazon Instant Video, Flixster and Pandora are missing on the Apple TV — and why Vudu and MGo are missing from both. With both of these units costing the same $99, the Fire TV is better in a context-free competition, but if you like your Apple environment, hold your cash for the 2014 version of Apple TV. Is Amazon Fire TV better than Google Chromecast? Google Chromecast still feels like an experiment in its early stages. The dongle idea has merit but Chromecast has four drawbacks: it’s a dongle that needs an external power source, it doesn’t come with a dedicated remote, its single-core processor is sluggish and it is missing some decent second-tier apps (Crackle, WatchESPN, NBA, Qello and Vimeo). Worse still, as with the Apple TV, Chromecast doesn’t support Amazon Instant Video. By contrast, Amazon’s Fire TV is a thin box, it comes with its own remote, it’s blazing fast and supports more channels. Chromecast does have HBOGo and integrated Google Play support, which are both unavailable on Fire TV, so it’s a viable option for HBO fanatics and Android phone / tablet users, but otherwise, Amazon’s Fire TV is the better choice, despite its size and price tag. Roku 3 is the comparable box to the Fire TV at the same $99 price point. Both have a very good user interface, are responsive, support Ethernet as well as WiFi MIMO, and come with a remote control. Amazon is touting their voice search as a primary differentiator, so much so that their Gary Busey ad focuses entirely on that feature. But voice search only gives you results within the Amazon ecosystem, ignoring Netflix and HuluPlus entirely, even if you have paid subscriptions to those services. On the channel front, Roku blows all the other competitors out of the water with its 1000+ channels — more than any of us can watch, but enough that all our itches for weird niches get scratched (50-year-old westerns anyone?). Roku puts up the best fight for the subscription-averse TV viewer by providing so many free entertainment options. The Amazon Fire TV is fast and works great within the Amazon eco-system. It supports a reasonably decent experience for the casual couch gamer and has excellent voice recognition. If these are important to you, and you don’t intend to stray outside the Amazon Instant, Netflix and Hulu worlds, you’ll be happy with this unit. It’s selling like mad right now, so go load up. If, however, you want access to your iTunes content or want hundreds of channels, wait and give Apple, Roku or Google, whose units are more than a year old, a chance to play leap frog on the Fire TV this summer. The competition benefits all us consumers and Amazon just fired their first salvo — I’m quite glad to have four companies in the mix. Do you own a box already? Will you get an Amazon Fire TV? 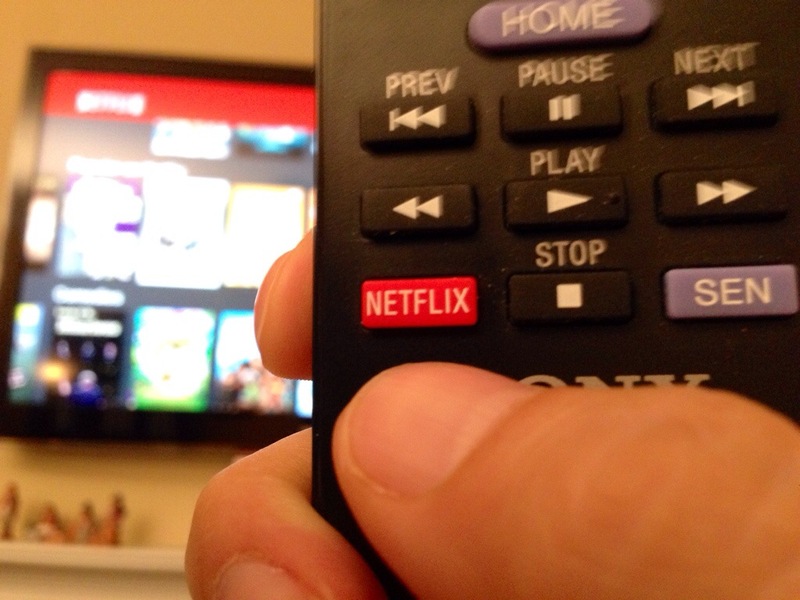 Have you been feeling like everyone else around you has figured out this “streaming movies and TV shows” thing, and you are standing on the fringes thinking you’ll eventually figure it out? But so far you haven’t really done anything about it. So let’s get into some of the products that can help you. Let’s figure out how to get you a media streaming device. On February 17, I started a series for “cord cutters”, with a Blog entitled 6 Steps to Cutting the Cord of Cable. In that, I presented a summary of what would need to be done in order to dump cable or satellite TV in favor of using a combination of Over The Air (OTA) for local stations and Streaming content from the Internet. In yesterday’s blog, I elaborated on Step 3: Get an Optional Digital Video Recorder. In today’s blog, I elaborate on Step 4: Get a Media Streaming Device. You can get streaming services built into the TV, BluRay player or game system. 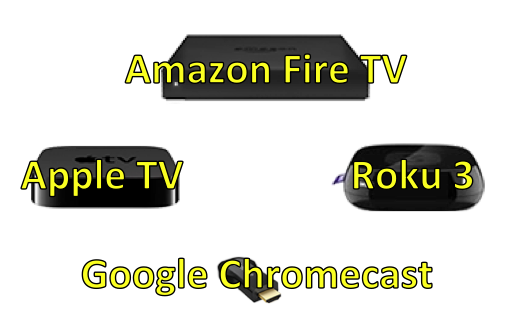 You can also buy a separate box such as a Roku or AppleTV, or a dongle in ChromeCast. If you read Step 1 of this series, you considered a new TV. Some are marketed as “Network Ready”. This generally means you have a set of built-in applications that can get you Netflix, YouTube, hulu+, and perhaps a few other oddball services. This is great if you only plan to use one or two of these and don’t want to stream through a home theater system. Otherwise, you’ll want a separate device, and all of the following fit that category. 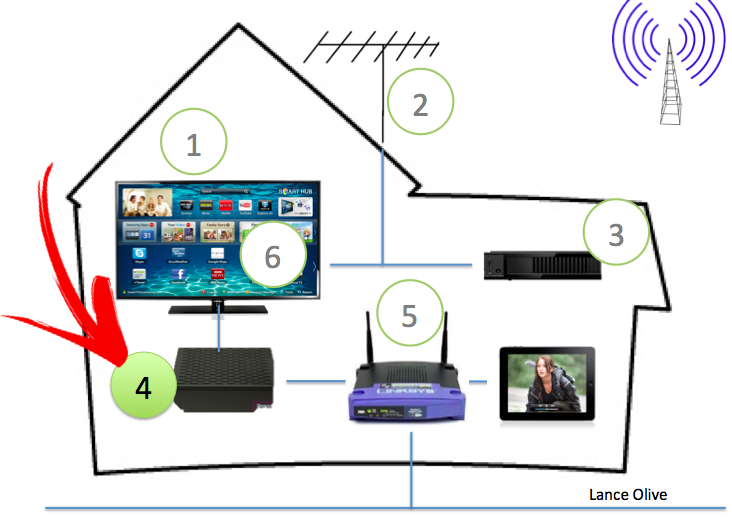 Panasonic, LG, Samsung, Sony and other BluRay players have a Network feature that, when connected to an ethernet or WiFi local area network (LAN) in your home, will access the internet to using many of the apps listed above. Game systems, such as Xbox and PlayStation 3 (and the new 4) have the same type of functionality. The benefit of this method is that you will probably be using your BluRay/DVD player or game system anyway, and it’s one less connection to your home theater. The down side of this is that a component failure kills off two of your functions at the same time. It may also make upgrades harder to afford. This small black box provides access to the most streaming services of any device known. The interface has also gotten very good reviews from new users, meaning it should not be too difficult to learn. With up to 1080p, HDMI, WiFi, 100Mbps Ethernet and a simple remote, this unit will let you watch shows on demand. The “3” model has the faster processor and will help alleviate frustration when loading apps and shows since many of the previous models were underpowered and most of us have a low tolerance for sluggish technology. Mac users have known about Apple TV for years, and have continuously thought that the next generation will fix their issues. But each time the next generation comes out, the product has only been improved marginally and Roku has moved ahead yet again. It’s like the guy who coughs around the office for weeks but won’t take a couple of days off to actually get well. Apple has never committed itself to a “get well” program that would make this product completely outstanding, which is really disappointing to people like myself who see the potential, already enjoying the iTunes, video and audio support that is there. The silver bullet would be a source-neutral interface that lets you find, let’s call them, “viewables” that are in any of the services to which you have access through login credentials. For example, imagine that you could search for “CSI: Miami” and you don’t have to know which service it came from. That would be completely amazing, considering how many stream options there are out there. Lastly, the included AirPlay functionality helps with integration to other devices that support it. The ChromeCast is a “dongle”, a small device with no cable that plugs into your HDMI slot. Well, that’s not entirely true since it requires power, so you’ve got to connect a wire to the nearest USB slot, or to a AC converter. ChromeCast is very good with Google products, such as Play music and video. Android smart phone users will find this an attractive option for them. iPhone users will likely gravitate to AppleTV (Mac users) or Roku (PC users). The next generation ChromeCast will likely be a leap above this one and you would be forgiven if you decided to wait until then to buy one. One thing is undeniable… they are small and discreet, able to be hidden in the plan of a 6-yr-old child. I am getting Roku if I buy soon. If Apple finally releases an update to the AppleTV that is worthy of considering, I’ll probably get that too. I’m likely to pass on the ChromeCast, unless the next generation is amazing. Which one is right for you? It may depend upon your intended use (home theater or simple TV) and what you are currently doing with your smart phone (iPhone vs Android) and home computer (Mac vs PC). Is it obvious to you by now? Did you feel like the master of time and space when you first recorded a show to watch it later? Or did you get a thrill the first time you set up your DVR to record some favorite series of re-runs, and then you turned on your DVR to find that the station had a marathon on your show and you wound up with 12 episodes waiting for you? On February 17, I started a series for “cord cutters”, with a Blog entitled 6 Steps to Cutting the Cord of Cable. In that, I presented a summary of what would need to be done in order to dump cable or satellite TV in favor of using a combination of Over The Air (OTA) for local stations and Streaming content from the Internet. 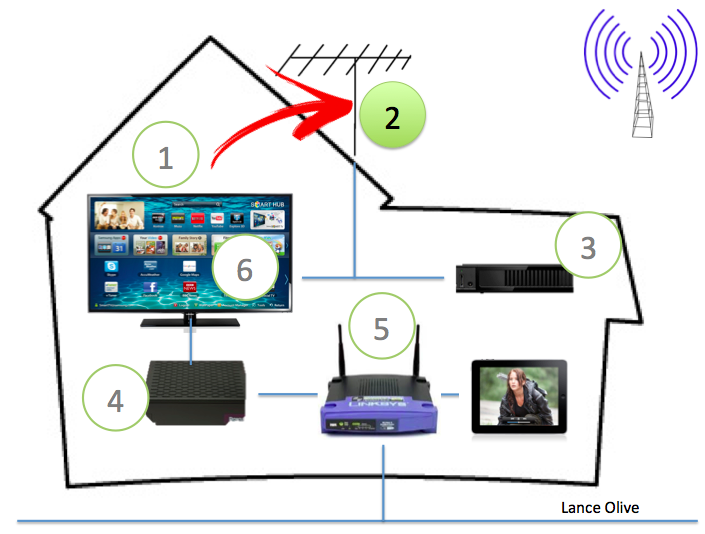 In yesterday’s blog, I elaborated on Step 2: Get an Antenna for Over The Air TV. In today’s blog, I elaborate on Step 3: Get an Optional Digital Video Recorder. Backtrack: We used to pop in a VHS tape and record shows on a VCR. This practice was so prevalent that we began using the phrase “…can’t program the VCR…” to imply someone was technologically challenged. Then came TiVo and it used a hard drive, rather than removable media. It was such a rush to realize that you could “tivo” 100 shows onto the disk and recall any one you wanted. It felt like a video jukebox! The generic term for this device is a Digital Video Recorder (DVR). A competing brand at the time was ReplayTV. Meanwhile, the more geeky folks were putting tuner cards or USB tuners on their computer and using software to record shows. Even as I type this, I have the Elgato EyeTV on my Mac here. It works well for Standard Definition and it used to work well for High Definition until the cable company began encrypting them (I shake my digital fist at them). So here we are today… the cable companies and the satellite companies all have an integrated tuner and DVR that they will gladly put in your house for a monthly fee so you can record more shows than you can ever watch. We’ve got it made. But, we’re here to cut the cord, so surely there are DVRs for over the air tuning, right? Surprisingly, the market is somewhat limited. So, I’ll touch on a few. Those of you who are complete nerds on this topic will undoubtedly tell me that I didn’t include your favorite model or some home-brew set up. My answer is that I’m looking at commodity products for general consumers, so let’s run down my list, in order of my personal preference. Comes in 2-tuner and 4-tuner varieties. Uses your iPad or Android tablet as the remote control. Plays shows to your TV using a streaming media device (see Step 4 tomorrow). It will also play to your handheld mobile device, even if you are away from home. Yes, you can watch your DVR while you’re hanging out at the coffee shop. Due to this design, you only really need one of these for your whole house, not one for each TV. The electronic program guide (EPG) that tells you what shows come on when, is a nominal fee (not yet published). The dual tuner model is $220 before you add your own hard drive. 16 GB of flash memory to record a couple of shows, and a USB port to add your own external hard drive. Shaped like a thin crust 11″ square pizza. The DVR+ has an HDMI jack so you can connect directly to your TV and you don’t need a streaming content box. To get the program guide, you’ll need to hook it up to ethernet or buy a WiFi dongle. The free program guide is appealing to those who want to avoid recurring costs of any kind. The device is $250 without the external hard drive. 500 GB built-in memory will record 75 HD shows. Hooks directly to your TV. Absolutely the best remote control I’ve ever used in my life. The box is not much bigger than a BluRay player and the user interface is very good, including streaming services. It requires a pricey subscription for the guide content and has built-in WiFi so you can download the guide and stream shows. The base box is $200 and the lifetime subscription for the guide is $500. The DVR is an optional part of being a cord cutter. But if you’ve ever gotten used to a DVR with cable or satellite, I’m betting you’ll have withdrawals if you try to go without a DVR. Live TV is maddening for me these days. You can go without, but honestly, don’t. Part of cutting the cord is to experience the elation of freedom. Don’t be a slave to live TV. Get a DVR and pay for the electronic program guide. In the 1970s, I used to tune in channels 5 and 11 with rabbit ears and channel 28 with a loop or bow tie that was clipped onto one of the ears. In the 1980s, we got 35 cable channels using an old Zenith tuner that had red LED numbers on the front. In the 1990s, we had about 60 channels and the TVs had the tuner built in. In the 2000s, we got hundreds of channels and high definition came along. On February 17, I started a series for “cord cutters”, with a Blog entitled 6 Steps to Cutting the Cord of Cable. In that, I presented a summary of what would need to be done in order to dump cable or satellite TV in favor of using a combination of Over The Air (OTA) for local stations and Streaming content from the Internet. In yesterday’s blog, I elaborated on Step 1: Start with a High Definition Television (HDTV). 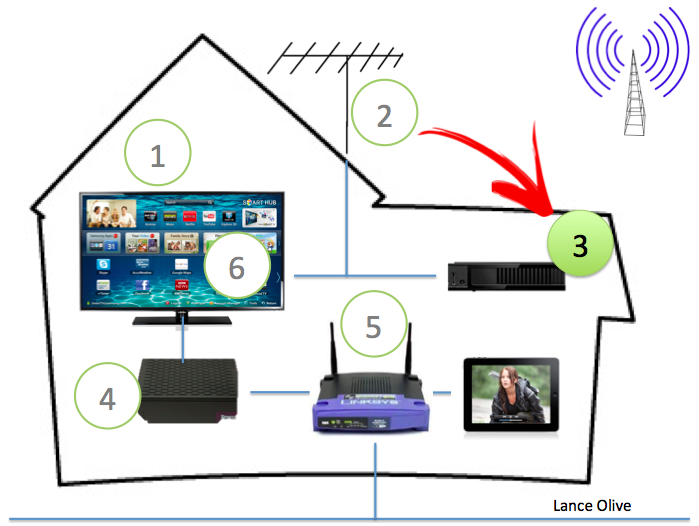 In today’s blog, I elaborate on Step 2: Get an Antenna for Over The Air TV. a) You will need a good UHF antenna to pick up digital stations. Those “rabbit ears” I spoke of earlier form what’s called a dipole antenna, which is tuned for channels 2 through 13, whose signals live in the space known as Very High Frequency (VHF) band. The loop or bow tie is designed to pick up signals in the Ultra High Frequency (UHF) band. Cord cutters need to understand how the digital age has taken over these frequencies. From 2006 to 2009, broadcasters began transitioning their stations to HD content and digitally encoded transmissions. Since digital protocol contains a new layer of channel abstraction, the digital transmission for a low channel number, e.g. 5, was set to be simulcast on a previously unused UHF channel, e.g. 54. It then self-identified as 5.1 (or sometimes 5-1) to indicate that it was the primary (.1) channel in the family (5). Similarly, 5.2 and 5.3 would represent two other channels in the 5 family. Today, all of the analog broadcasting has been shut down (as of 2009). Many never bothered to transfer back down in the VHF range. So all of the digital stations are UHF and, thus, require a UHF antenna to pick up the stations. There are exceptions, such as channel 11 in the Raleigh-Durham market, but that’s the only one in the area today. Because UHF carries nearly all the digital content, a so-called “digital antenna” is nothing more than a UHF antenna. That’s right, the technology for a digital antenna is old school. This explains why they are all either bow ties, yagis (the parallel aluminum rods) or loops (keep in mind that often these shapes are hidden in a flat plastic sleeve in order to hide ugly wire). b) Mount your antenna as high as you can. In some cases, you may have to simply place the antenna on the table top or attach it to the wall. But if you can run coaxial cable up to the attic or outside to a mast, you’ll get better reception. Incidentally, if you’ve never experienced it… digital weak signals manifest themselves as blocky and jumpy pictures, or blackouts, rather than “snow”. Satellite owners will recognize this as the same look as when a heavy rain is passing over their dish outside. c) Aim your antenna towards your primary towers. In the Raleigh, NC area, the big towers are east of Garner, just past the NC-70 and I-40 intersection. You can find local towers by using antenna web. Once you figure out the compass direction, you can aim your antenna the same way by remembering that 0° is due North, 90° is due East, and so on. Use a compass app in your smart phone to figure out the angle relative to your house. Put down a piece of tape on the floor until you get a solid signal. To aim a bow tie antenna, think about someone wearing it. The front is the flat side, so “face” the tower. Aiming a loop is the same — flat side faces the tower. To aim a yogi antenna, the type depicted in my graphic at the top of this blog, it’s more like pointing your finger… point the skinniest part of the antenna at the tower. d) Mount your antenna as high as you can. Objects in the way can degrade the signal, so anything below 6′ high, furniture, humans, wires, etc. will affect the signal. If it’s too difficult to run the cable out of the room, mount the antenna up the wall, near the ceiling or near a window. If you can get up to the attic or outside on a mast, those a better. Don’t worry about the weather for outdoor-rated antennas. They are going to survive basic rain and snow and sun. If you live in a fairly remote area, you should really think about a mast strapped to the chimney, mounted on a pole or bolted to the side of the house. You need to go high so you can pick up signals that float above the tree line. e) Get the right amount of gain in your antenna. This may be the most technical part of this write-up. Gain is the term used to describe the natural signal amplification that occurs when the radio frequencies that propagate over the air strike the metallic antenna and create a signal resonance that gets transmitted down the cable to the tuner or TV. Gain is measured in decibels (dB). Home-use antennas range from 3dB to 20dB. The further you are from the big towers, the more gain you’ll need from your antenna. You can also boost your antenna with an AC-powered amplifier. My rule of thumb, figure out which antenna you think you will need and then get the next one up (more dB gain), because your instinct will be to get an antenna that is one size too small. Trust me, it happens. One word of caution, remember that marketing statements like, “Picks Up Signals Up To 50 Miles” are fraught with hype. What they mean is, “In a perfect environment, such as across the flat plains of Nebraska, when the weather is perfect and your antenna is outside, on top of your house 47.9 miles away, we calculate, using antenna theory formulas, that you should get enough signal so you won’t have any problems, so we round off to 50 and use the phrase ‘up to’ so you can’t sue us for false advertising.” Take their lowest number stated and divide it in half to be safe, since you have to account for real life obstacles between you and the transmitting tower. f) Get the biggest antenna that you won’t completely hate because it’s so big. I really believe the antenna is not the item you want to try and save $20 on. Nothing ruins a good TV watching experience like blocks, chunks, freezes and blackouts. Even though there is some looseness in the “bigger is better” rule here, generally speaking, the bigger antennas have more gain. Antennas that cost under $30 are mostly worthless because you can make one just as good with supplies around the house. If you are crafty and adventurous, you can make your own DIY antenna from aluminum foil, coat hanger, cardboard and tape. There are several out there to try, but here is one example. The bow tie (or cat’s whiskers) style seem to give the best results for minimal effort. Doing it yourself can be a fun project, especially if you involve you child in the project. Note that the numbers matter a lot, so if it says cut the wire to 18.125″, make sure you are as accurate as you can be. Have fun with it. Once you have the antenna, you can hook it directly to the TV and start auto-tuning your TV. The excitement of getting free stations once again, just like “ye olden days”, should invigorate you to start counting the money that you’re no longer spending on cable or satellite subscriptions!